I'd heard so much about the “magic of Pai, Thailand”, and since a friend was visiting I had the perfect opportunity to finally experience this gem of the north. 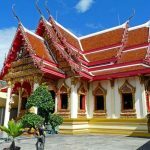 A town largely unheard of by travelers 10 years ago, has become a rite of passage for hobos, hippies and backpackers alike, and also a quaint holiday destination for middle-class Thais. Just a 2-3 hour ride from Chiang Mai, the aircon minibus is a mere 150-200 Baht, depending on where you buy your ticket! The journey, however, is not for the feint-hearted or the hung over, and the twists and turns had most of the passengers on our bus feeling sick by the time we arrived. You can fly to Pai from Chiang Mai airport, but at 2,000+ Baht for a 20-minute flight in a propeller-driven plane, it didn’t seem worthwhile, not to mention that the weather at the time was unpredictable – rendering the flight a little risky. After three hours of listening to ‘Mike the American' spout stories of debauchery on the back seat from his nights out in Phuket, we arrived in Pai, home to many an aspiring bohemian. I'd been foretold of the magic of Pai; the place hailed as a spiritual hub of Thailand, where kindred spirits drift in from around the globe to swap capitalism for fresh air, meditation and tranquil integration with local Hill Tribes. It wasn’t yoga and meditation I saw first, but rather beer, cigarettes and dreadlocks. 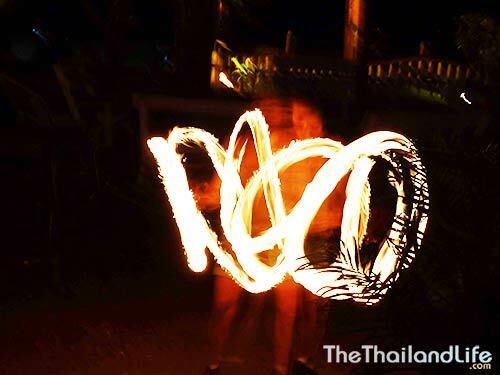 The town was awash with tourists and it felt more like arriving on Koh Phangnan in high season. I looked somewhat out of place with my 25-kilo holdall and laptop bag while my friend carried his compact rucksack in seasoned traveller style. I always take too much! Because of the weight I was carrying ,we couldn’t travel far to look for accommodation and ended up having to roll up at the first half decent looking place we saw before I collapsed in the heat. Even though The Breeze of Pai guesthouse was chilled and the people very welcoming, I had never stayed in a room without a TV or aircon before – they did have better rooms but they were all taken. What the hell! When in Pai, as they say. Plus at only 350 Baht a night it felt good to save some money for once. One thing I must say about Pai is that it instantly feels relaxing; I guess that’s the magic people refer too. I lay on my bed to settle my stomach after the tortuous minibus journey, and although it creaked like a century old rocking chair, I felt so calm laying there listening to the sound of crickets, birds and lizards above the roof – Mike’s “15 shots through a t-shirt” story finally faded from my mind. Pai has a population of approximately 3,000. Like nowhere else in Thailand, a seemingly harmonious mix of various tribal peoples, Thais, Burmese, and a Thai- Muslim community live side-by-side. There are approximately 250 expats living there too, and of course an abundance of backpackers on the trail passing through on a regular basis. The town is beautifully pleasant. Even with a ton of tourists circling around, it's a lovely place to just walk around and hang. 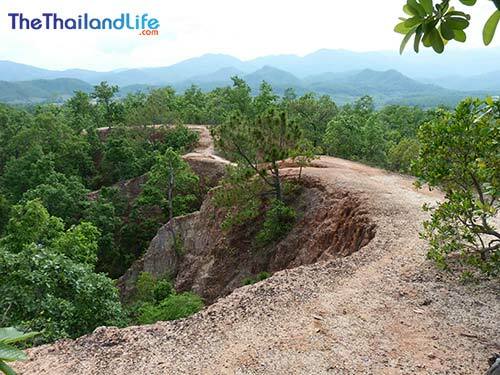 Everything is within walking distance; though if you want to see the beautiful scenery in Pai you will need a moped to venture off into the hills. Pai is well known for its cooler temperatures, but don’t be fooled. Unless it is November or December, the days can still get very hot. Even if you can't see the sun, be sure to put on sunscreen when walking or riding around. Prices in Pai are much cheaper than any other tourist trap around the country, and thankfully there's no one trying to sell you a tuk-tuk ride to a seafood restaurant or a trip to an elephant park. These people aren’t used to proper work. 20 years ago they were sitting up here doing nothing, and that is what they are used to doing. You ain't gonna change 'em. We hired automatic bikes for 180 Baht per day, including insurance (semi-automatics are as cheap as 80 Baht), and headed out over 3 days to a range of great places. This is a great place. It's only 100 Baht for swimming and as long as you like in the hot spas. Didn't dig the skin particles floating around, but then I am a hygiene freak! Don’t pay for a tour to this place. You can literally drive through and observe as opposed to being taken on an organised tour that makes a circus show of the natives. It was cool just to ride through and see the Lisu going about their daily business. This was a strange place that kind of seems a tad out of the ordinary. It sells tea, tea pots and Chinese foods, though it's unclear whether this is a commercial endeavor or a historical Chinese Yunnan community. Either way, they are clearly prospering more than their Lisu neighbours. Save some space on your camera for this epic feature. The views are truly breathtaking. Careful with kids though as the trail is very narrow at points. This is not a majorly exciting attraction, but worth going for the vibe and to get an idea of what went down here. It's a reconstructed version of the bridge built by locals under Japanese instruction during their quest to control Burma in WW2. 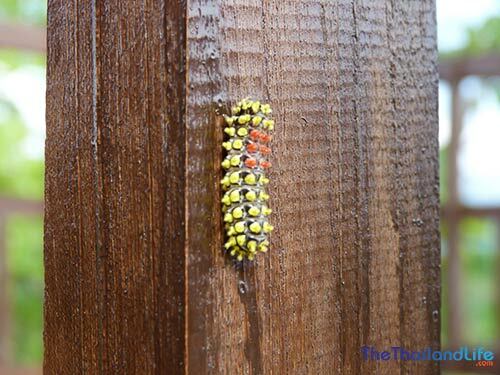 Again, be careful of the holes, a small child could easily fall through. There's plenty to choose from, all in the square mile of the town. There's Italian, Mexican, Thai, Shan, Halal foods, and more. I recommend the Falafel Place (forgot the name) – great food and nice people. There's a handful of things to do in the evening in sleepy Pai, though things do close early. There's plenty of bars open until around 12am, after which people tend to venture to Don’t Cry Bar for after-hours action. Expect a chilled vibe with reggae music, jazz, cocktails and an awesome fire show! All bars are within walking distance, so just pace the square mile and you won’t miss out. Also open late are massage places offering a cross section of facials, reflexology and traditional Thai massage. 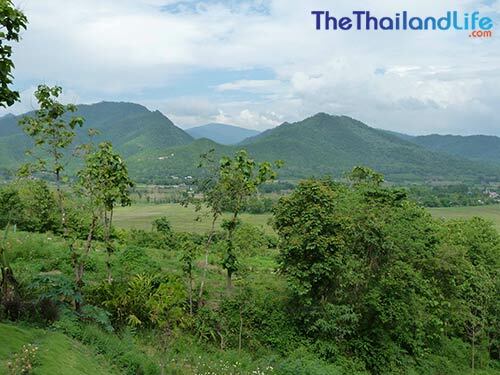 Inevitably, beautiful Pai is attracting countrywide investment and more upmarket accommodation is popping up each year. There are already 5 banks, a Starbucks, a Charoen Optical, three 7-11’s and two 5-star hotels. I can’t help but wonder when Tesco will arrive, followed by the other big chains and a mall. 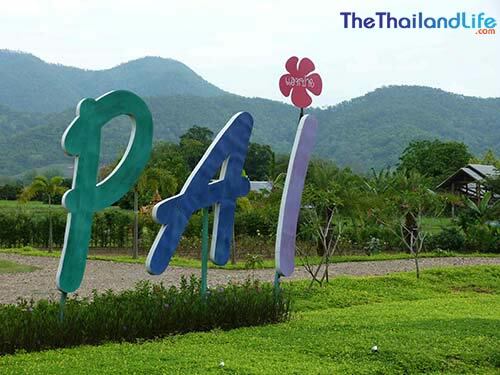 Pai is already a popular spot with middle-class Thais who, after seeing the Pai In Love movie, began to flock in their thousands, filling the streets with cars and creating a demand for Starbucks and other city-dweller luxuries. You should see it when they come, they turn the streets into Bangkok – cars everywhere! 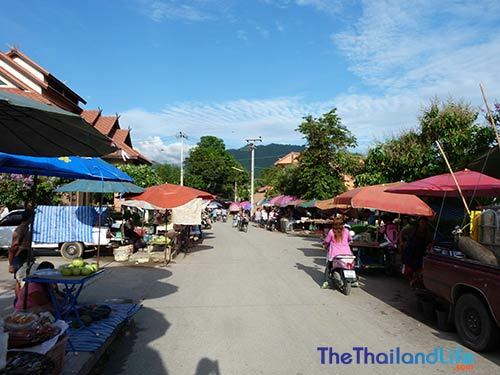 Apparently the tourist season in Pai has been split into two, with Thais claiming the last quarter of the year and foreigners coming and going outside of that period. The changing face aside, Pai remains a lovely place with amazing scenery and abundant tranquility. What makes it special is that it is far-removed from the rest of the Thailand. In fact, at times I felt as if I wasn't in Thailand. 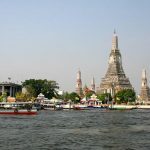 It makes for a wonderful escape, especially from the bustle of Bangkok and, if you want to escape the tourists mulling around the town, you can easily ride a few minutes towards the hills and find splendid isolation for a while, as I did many times. Like anything in life, it's really what you make of it. Some come for the organic vegetables, Yoga, meditation and Reiki massage courses, while others come to get pissed on cheap cocktails and blunted on weed, away from the prying eyes of the few policemen that patrol the sleepy town. Create your own vibe and personalise the experience. I highly recommend pre-booking accommodation. 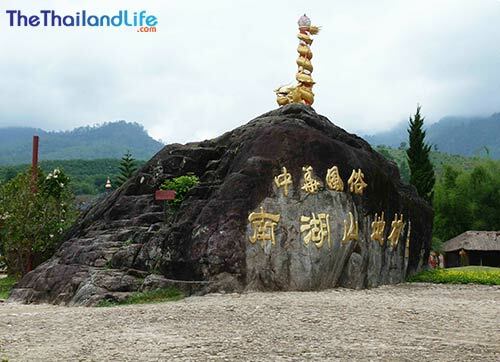 It can get very busy in Pai during high season and the last thing you want to be doing is trekking all over town with a heavy backpack trying to find somewhere with availability. There is something for all budgets. Basic rooms start at 300 Baht, mid-range accomodation from 1,500 Baht, and then top end spots from 2,500 per night. My advice is to put Pai on your bucket list. The tranquility of the valleys, encased by gorgeous hills and abundant greenery, provide the perfect place to reflect, be creative, romantic or just chill. If you're a writer, take a pen; an artist, take a sketch pad; a musician, your Mac. You will feel inspired. If you like basic backpackers than you will enjoy Pai.. 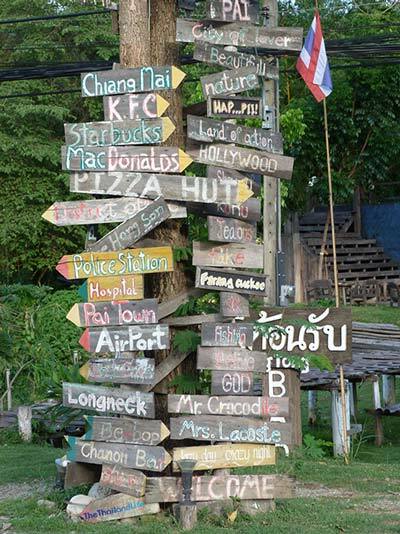 It's not for us..
No Pai is just as expensive or more expensive than Bangkok or even Koh Chang.. In fact, it is more expensive in the north of Thailand than Bangkok these days.. We've been travelling in 7 countries in Asia the last 6 months, and Thailand has been the most expensive so far.. Not what it used to be, that's for sure! Everyone's going to pai, should you? I got my bellybutton pierced and raked in Pai. The name of the hotel I stayed at is linked in the post. It was more a bungalow place, and pretty cheap. As for halal food, there is plenty there. I saw at least 6-10 halal places to eat.